Playing soccer in their tutus!! I thought to myself, "This would solve all my girls problems, have a girls soccer team that plays in tutus!!" They just looked too cute! By the way they did decide that this year they want to take ballet! We have enough kids at our house to have our own soccer team and the girls can play in tutus if they want too!!! Monday marked the 2 year anniversary of the day Harper was placed in or arms forever! 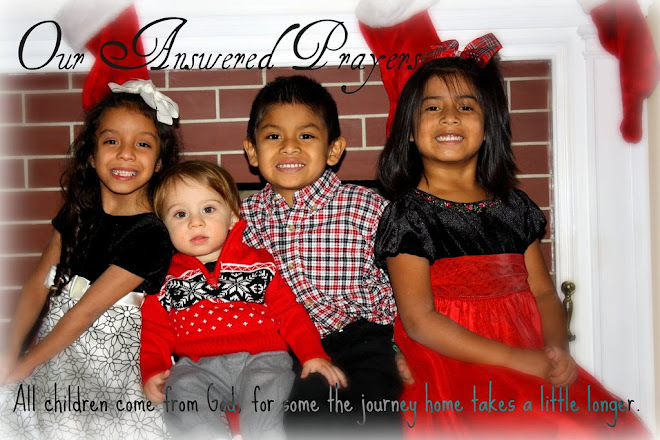 Our lives and family has never been filled with so much JOY! This is a picture we received of Harper right before we traveled to Brazil to get her, she was 3 1/2 years old. 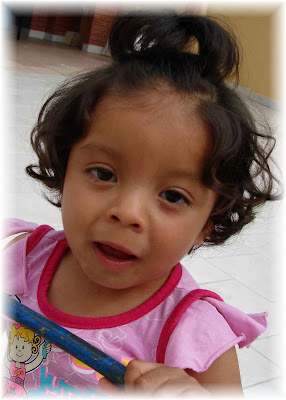 This was at the orphanage shortly after she ran into our arms! 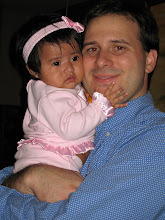 And this is our precious daughter 2 years later at 5 1/2 years old. Happy 2 year Gotcha Day, sweet princess!! We had a great weekend at the Lake with Jason's family. We did lots of boating, swimming, and eating - which lead to 5 out of 11 people going home with food poison. Jason, Harper, and myself all got it! Not sure what was bad since there was so much food there. But we are all doing better now and are just thankful it was not worse (but I think I lost the 4 pounds I gained with the pregnancy!!). Enjoy a few pictures of our interesting lake trip!! Just loving my little baby bump!! Harrison had a great time playing with his big cousins. Mary Elizabeth loves swimming in the lake! Daddy and Harper riding on wave runner. Daddy and Mary Elizabeth tubing, she looks so happy! Mommy and "TooDee" NOT tubing! We had stopped at a fruit stand on the side of the road to buy some peaches and watermelons. We picked out our fruit and the kids and I loaded them in the truck. As I was buckling everyone back in, Jason was talking with the farmer who ran the fruit stand. The kids and I sat in the truck for about 10 minutes when the girls asked why Daddy was talking soooooo loooong to that man. Harrison replied, "He is probably telling him about Jesus! He tells everyone about Jesus!" What a great complement from a child to know that you love the Lord and want to tell everyone you meet about Him! Harrison was right, Jason was tell the farmer about Jesus! Praising God today for His Greatness! Just some random cuteness from the week! This kids came up with this idea all by themselves! I am to the point in my pregnancy that I can no long wear any of my pants or shorts, but I am not quite big enough for maternity clothes yet. But I decided that I would go shopping and try to find something that would halfway fit, or would fit better than my pants! As I began trying clothes on I had to sit down and just cry!!! I know this sounds silly and very hormonal, but I can remember walking past maternity departments in the past and saying to myself, "that is one department I will never be able to shop in!". And now here I am not only shopping in this department but trying on maternity clothes and they are actually fitting! So after I had myself a good cry, I paid for my new clothes and headed to the next store, only to have to sit down and cry again!! After an emotional day I came home with several pants, shorts, tops, and dresses!! I also came home so thankful for this journey God has brought me on, and look forward to the journey ahead! What we say and what kids hear can be different! We had a interesting and scary day with Harrison yesterday. It all started Wednesday afternoon about 5:00 pm, when he came to me crying because he fell and hit his head. I quickly told him he was fine, to stop crying and go play with his sisters. (I know that is not very compassionate, but they fall and get hurt a million times a day, and I saw NO blood!) He went back to playing and I thought nothing else about it. We went to church at 6:30 pm and the nursery worker came and got me at 7:00 pm saying Harrison was not feeling well. Once I get to him he starts vomiting and saying his head hurt. So we loaded everyone up and went home where he vomited a couple of times more and then he felt fine. He slept wonderful and we just figured it was something he ate or a small stomach bug. He was playing Thursday morning and then came to me and said his head hurt and started vomiting again. Now I am concerned and called the Pediatrician who told me to bring him in immediately! By the time we get there he is feeling fine and playing around the doctor's office. Then my sweet little boy told on me!!! The doctor asked him how he hit his head and he replied, "My Mommy was on the phone and not watching. I jumped off the table backwards onto the sofa and hit my head." Thankfully the doctor is a Mom too and knows you can't watch them every second!! So after a through exam the doctor could find nothing wrong, so she suggest he go have a CT scan done just to make sure there is not something else going on with his head. When I hear this of course I panic and think of everything that could possible be wrong!! So I picked up my husband, who is also very concerned, and we drive to the Children's Hospital. On the way we are trying to explain to Harrison about how a CAT scan works. We told him at the hospital he would lay on a CAT scan and they would take pictures of his head to see what was inside. So, when we pull into the parking lot Harper, who had been listening so well to our conversation said, "Is this the hospital where we get to see Cats?" Not even putting things together I said, "no they don't have cats here, this is where they will look at Harrison's head." Harper again says, "Are they looking for cats in his head?" Then we get it and we all laughed because she thought the CAT scan would find cats in brother's head!! What we say and what kids hear can be so different and so SWEET! The scan turned out fine and they found nothing, to our relief!! They figure he probably hit his head and it briefly gave him headaches and made him nauseous. DO NOT jump backwards off tables while Mommy is on the phone because it will put CATS in your head! 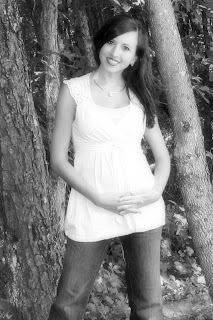 Well, my first trimester is almost over and it has been nothing but a BLESSING! I started the pregnancy weighing only 97 pounds!! People said I started showing fast for my first pregnancy, I guess there is no where for the baby to go but out!! I had a doctors appointment today and got to hear the heartbeat! It was so precious to hear it beating and to think of what a miracle "TooDee" is to our family! I have never in my life weighed over 100 pounds and I found out today that I am up to 101, YEAH!! !